I used to see people, including myself, as individuals first and as social creatures after that. Emotions and words, my own and others’, seemed the prime movers; groups, society as a whole, seemed a context, a setting, not an essence. I was me, Brock Haussamen, a unique bundle of thoughts and feelings, and I could insert that bundle into conversations, relationships, and social conventions or not, as I chose. This perspective came easily to an introverted young man. And it was supported by the great romance of male/Western/modern/American individualism. But over the last decade or two I’ve come to see how life—all life, especially human life—is primarily and profoundly social. It’s been a disillusionment and a revelation at the same time. By social, I mean that living things are largely built by interactions with others and for such interactions. We like to think that we humans are distinguished from other species by our private consciousness and from each other by our winning personalities. But our consciousness and our individual traits turn out to be products of the joys, pains, love, violence, tedium, and necessity of our connections to other people and living things. The social underlies the individual, not the other way around. Many ideas and pieces of information have shifted my point of view. 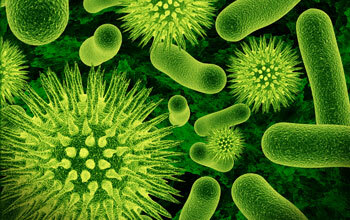 Bacteria: The earliest and simplest life forms relied on interactions. Billions of years ago, bacteria made the great leap forward of developing a nucleus when they absorbed other bacteria. Natural selection took off when bacteria moved beyond cloning themselves to exchanging DNA with each other. And we in turn carry around several pounds of necessary bacteria, interacting with it constantly; our body is literally a community. Darwin: The engines of evolution described by Darwin—competition and cooperation—are largely social. Even plants, indifferent to each other, are ultimate competitors. For early humans, the social experiences of hunting and village life over hundreds of thousands of years led to language, organization, and morality. Religion relies on concepts articulated by groups and reflects a sense of security in belonging to the group itself. And current research tells us that good health, physical and mental, depends in large part on our engagement with friends, family, and community. Brain: Our intelligence is more of a social instrument than we might think given how private our thoughts seem to be. Whenever we finish a particular cognitive task, such as figuring out a math problem, our brain almost always reverts to thinking about ourselves or other people. (Try it.) And our consciousness itself, our self-awareness, apparently has roots in our brain’s capacity to keep track of other people and relationships; as part of monitoring that complex network, it seems that the brain constructs an “I” as an on-going player. Species success: Viewed broadly, successful species have acquired special skills that make them effective at living in their particular environmental niches. Our human survival skill seems to be our social intelligence, and our niche seems practically global. Of course, the importance of our social nature is obvious to us, up to a point. Love, family, community, friendship, charity, compassion, hospitality are all almost universal values. And yet we can also push back hard against the dominance of the social. 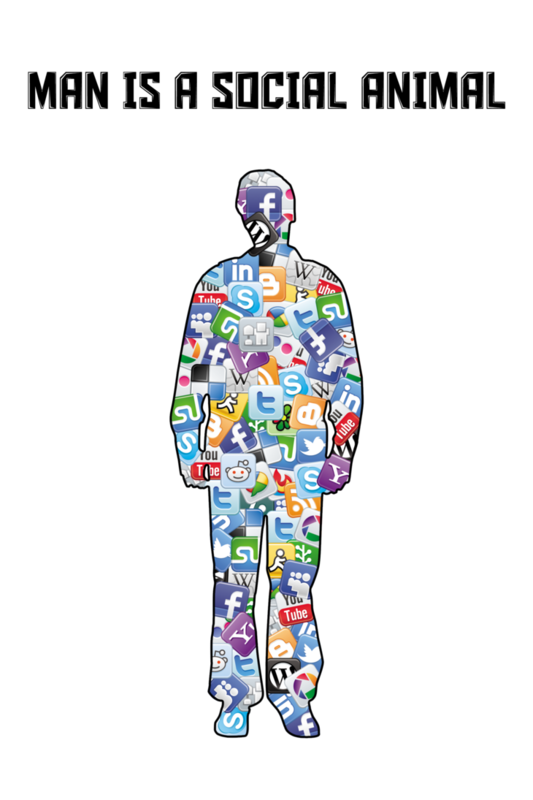 When the social network feels oppressive, we stand firm on our individuality, our rights. We deny the legitimacy of the social rules, we change allies, feud with the family, withdraw. We agree with Sartre that “Hell is other people” and insist that true peace lies within us. And yet such moves towards solitude never stray too far from how we perceive others and how we imagine they perceive us. It’s tempting to conclude that we and all living things are essentially nodes, junctions, in a network of living things and that humans happen to be the kind of node with the bizarre illusion of being separate. But that might be going overboard. A better image is a Venn diagram with each of us a very small shaded intersection where the huge ovals of other people, other organisms, and the force of the past all overlap. This entry was posted in Cooperating and competing and tagged consciousness, individual, self, social animal, society. Bookmark the permalink. ‘Connected (The amazing power of social networks and how they shape our lives)’ by Nicholas Christakis and James Fowler. 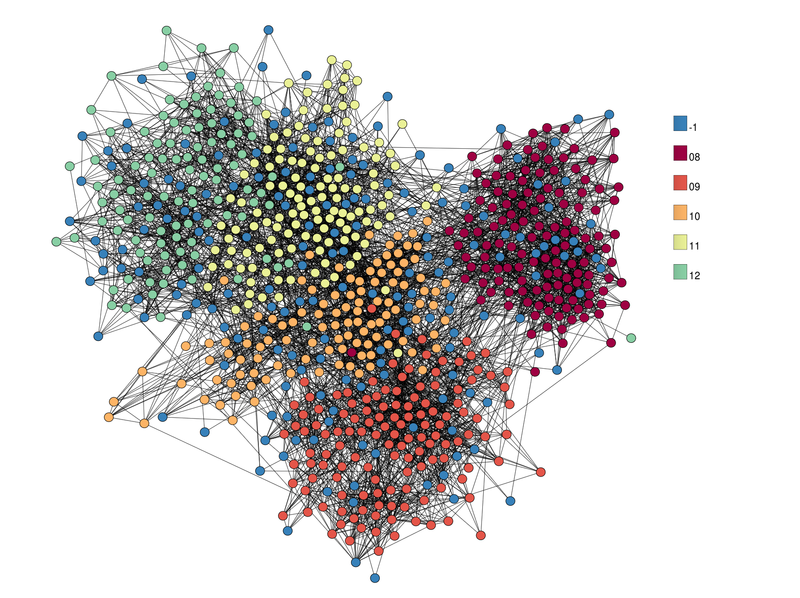 This demonstrates how each individual forms networks with other like-minded and like-behavioured people, and that the influence of your friends also includes a weaker influence of their friends who you may not even know. ‘Strangers to Ourselves: Discovering the Adaptive Unconscious’ by Timothy Wilson which demonstrates how much of our conscious life is driven by our unconscious thoughts (hint: a lot). ‘Zen and the Art of Consciousness’ by Susan Blackmore which shows just how much our ideas of self and consciousness are not the concrete experiences we believe. I also understand that most of the ancient Greek philosophers assumed that ‘reason’ was the ‘highest’ characteristic of individual humans, often echoed by other philosophers down the years. Arguably a more authentic basis for proposing how to live should start with how our instincts, adaptive unconscious, and emotions shape how we react to events (especially social interactions and usually without conscious thought), and then develop into how we should react. Thanks for the readings. The adaptive unconscious is an appealing notion. It certainly is becoming difficult to “know oneself”–or to trust the knower. Where do you think this whole line of thinking is headed? It’s empirical enough but reliant on paradigms and perspectives as well. Networks themselves may come under closer scrutiny perhaps.